Trainer Kelly Schweida hopes Magic Fox can take advantage of a class drop at Eagle Farm. Failing to get a start as an emergency for two races on Magic Millions day could prove a blessing for Magic Fox who runs at Eagle Farm. Magic Fox was a reserve in both the Magic Millions Guineas and the QTIS Open but missed a run. The gelding will now run in the QTIS Three-Year-Old Handicap (1200m) on Saturday. Magic Fox faces a big drop in class after running in top three-year-old company, being unplaced twice behind star gelding Zoustyle and then again behind subsequent Magic Millions Guineas winner Boomsara. 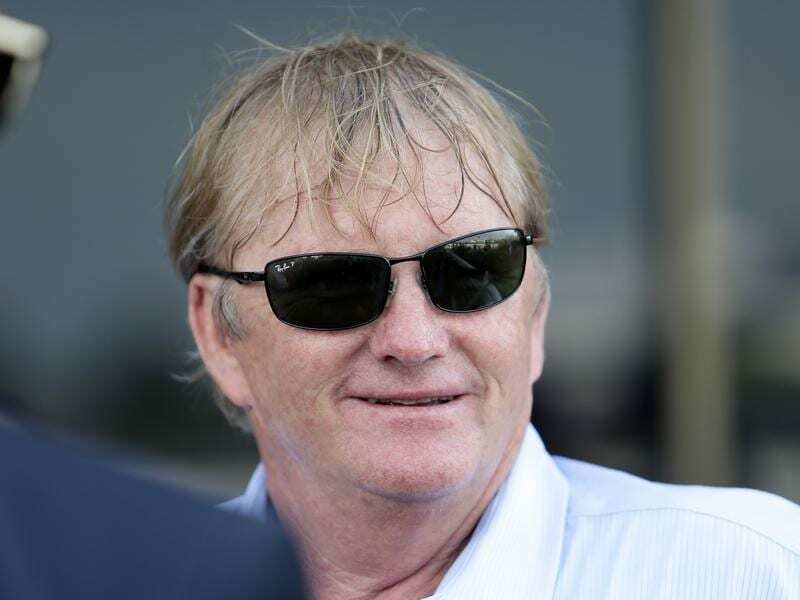 In his most recent start behind Boomsara in the Vo Rogue Plate at Doomben three weeks ago, he was the main victim in the backwash of Granny Red Shoes losing her jockey. Trainer Kelly Schweida has a lot of time for Magic Fox and for a good reason. Magic Fox is by Foxwedge out of Plain Magic who won seven races for Schweida, including one in stakes company, and the Magic Millions Fillies and Mares race. Schweida showed his liking for the breed when he bought Magic Fox’s half brother by Love Conquers All at the Magic Millions Sale last week. “Plain Magic was a good racehorse and I think she will make a broodmare,” Schweida said. He has booked apprentice Corey Bayliss for Magic Fox and hopes the apprentice’s three-kilogram claim can offset a tricky barrier (11). Schweida also has Ramtastic in the same race with the gelding making his metropolitan debut. After being a trouble maker at the barriers at his early starts, Ramtastic has settled down to win two races and record a second from his past three starts in midweek company. James Orman sticks with Ramtastic.